Never cancel your Life Insurance - your family will pay the price. Don’t ever cancel your Life Insurance, no matter how tough times are! Nothing is more stressful than being financially short every month. However, no matter how tough it gets, never cancel your Life Insurance. People all over the country are feeling the pinch. Medical expenses, petrol and groceries keep going up. No matter how well you budget, there is always an expense you didn’t expect. It’s no wonder so many are looking to cancel their life cover. Just to free up some much-needed cash. If you do cancel – bear in mind that it may be impossible to take out a new policy as you grow older. Life events such as ill health make it difficult for you to get cover for the same premium you had. Expect to pay much higher premiums and the loss of some health benefits. You may even have become uninsurable. What you need to do is weigh up the total of your premiums you pay each month. Against this, work out what financial impact the loss of your earnings will have on your family. Especially when you’re no longer around and there is no life insurance payout headed their way. Having life insurance plays an important role in giving your family members financial freedom. Without you around, your cover will fill the role as the income provider. Cancelling a life insurance could put your family at risk. If you’ve got young children, how will they be able to go to school or a college? What about medical bills and the mortgage on your house? It’s not old people cancelling, Liberty Life says that it’s young and middle-aged parents that lapse their policies. If you need help, consult a financial expert. They will advise you on making the best decision. It may be easier said than done, but try and reduce your monthly costs. There are always non-essential bills you could give up – get rid of the satellite TV. Ask about changing your premium payment pattern. Try an escalating pattern, your first premiums are lower and then increase with time. You still have the same amount of cover but you also have a bit of short-term financial relief. Deputy chair of ASISA Life and Risk Board Committee, Hennie de Villiers says that we are in choppy economic times. Without life insurance, families may be forced to cut back on their living expenses. They may have to sell their home or car to tackle the burden of outstanding debt. What if one of your family members were to suddenly develop a life threatening illness. How will they ever pay the hundreds of thousands of Rands for medical attention? Times are tough for sure, but think twice before you cancel your life insurance. Rather give other options a try that can free up some cash. Life insurance is harder to get later on in life. You’d be wise to hold on to yours and try and ride out the storm. 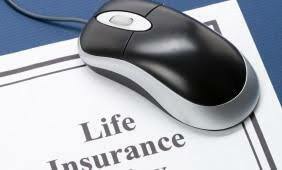 ← Is there an alternative to the big five Life Insurance companies?